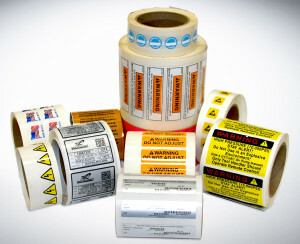 Roll labels are an economical form of product identification used for longer production runs (1000pcs & up). The printing processes we use to make roll labels include thermal transfer, flexographic, digital and hot stamp. These processes enable us to print in full-color and also with decorative metallic foils which enhance the product to which the label is being applied. We are also able to print variable data on the labels including sequential numbering and bar coding. Both 2D and linear bar code symbologies are available. We have accumulated over 1000 different sized cutting dies over the years of printing roll labels. There is an excellent chance that we have the exact size you are looking for or at least something very close. This saves money since new tooling is usually not required. Additionally, we make our own tooling in-house which gives us a competitive price advantage when new tooling is required. 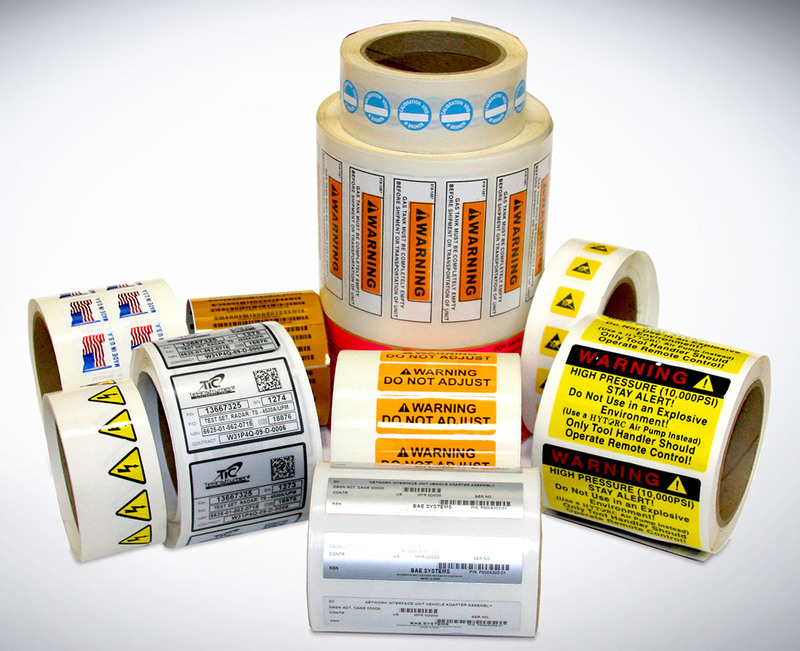 The types of roll labels we produce are mainly used in applications where permanence and durability are required. As such, we use materials (typically vinyl and polyester) that have aggressive permanent adhesive. Additionally, most of the roll labels we produce are overlaminated to protect the graphics and material from abrasion and fading. We are a UL recognized printer and we stock many different UL and CSA approved materials. We have helped many of our customers in specifying materials that will meet their UL labeling requirements. Product Identification Co. © 2018. All rights reserved.